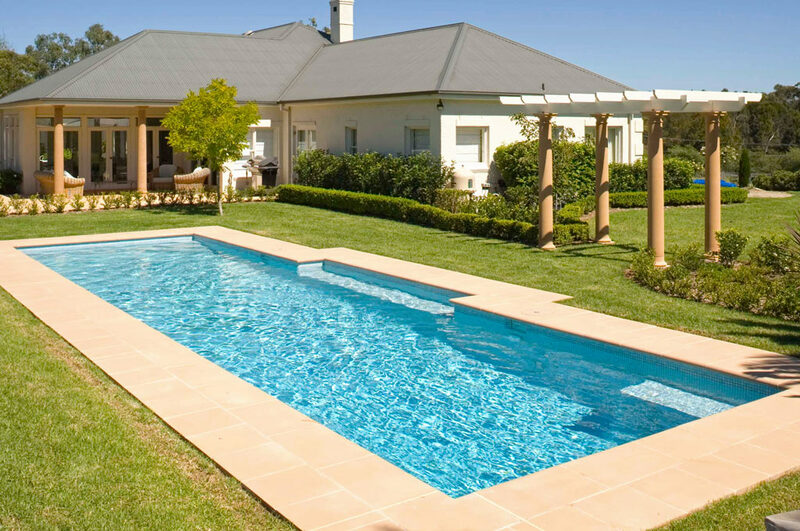 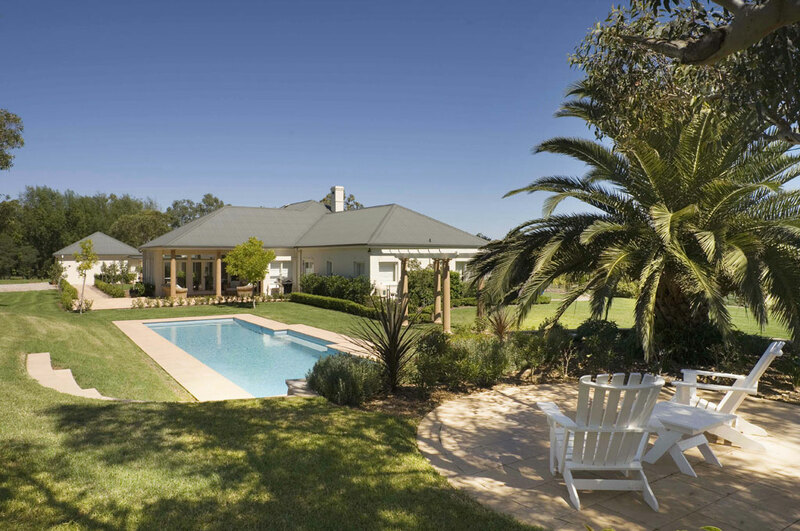 This luxury in-ground swimming pool serves two purposes: exercise and entertainment and has been designed, and positioned, to complement the quality and size of the home. 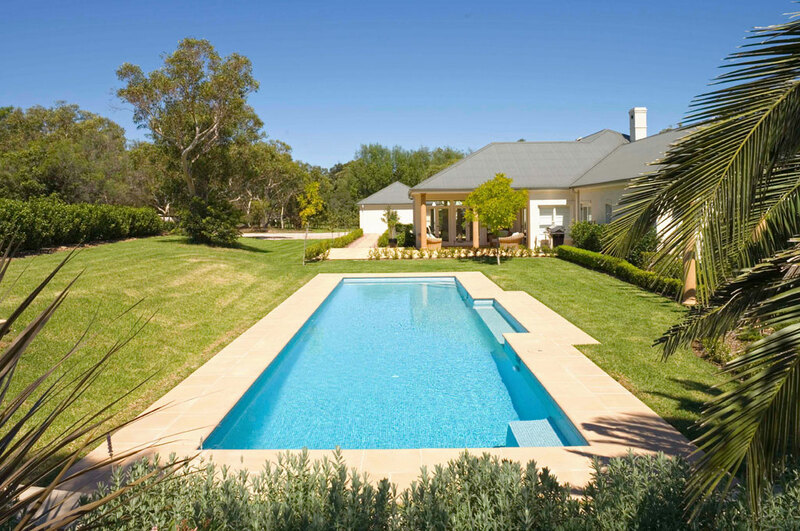 Running the swimming pool perpendicular to the house provides a view across the length of the swimming pool providing a sense of depth and distance and work well with the landscaped walls and sitting area at the end of the pool. 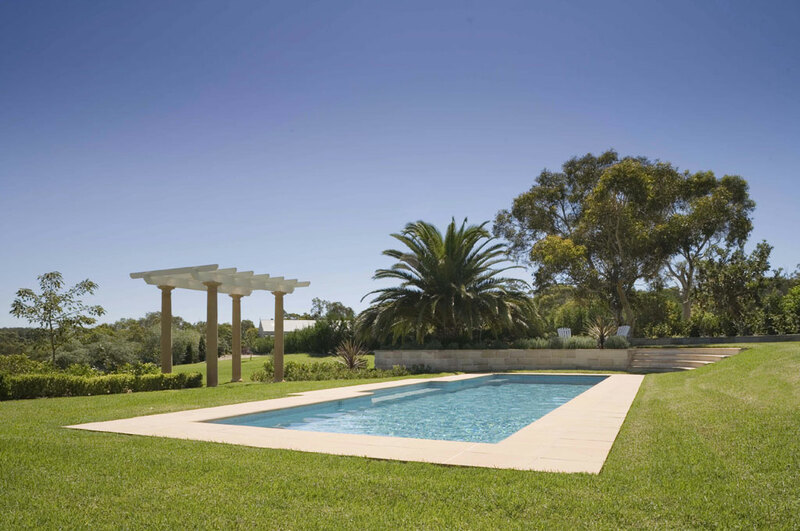 The fully tiled interior means that water quality is easy to maintain and the owner could achieve the exact colour and effect that they were after. 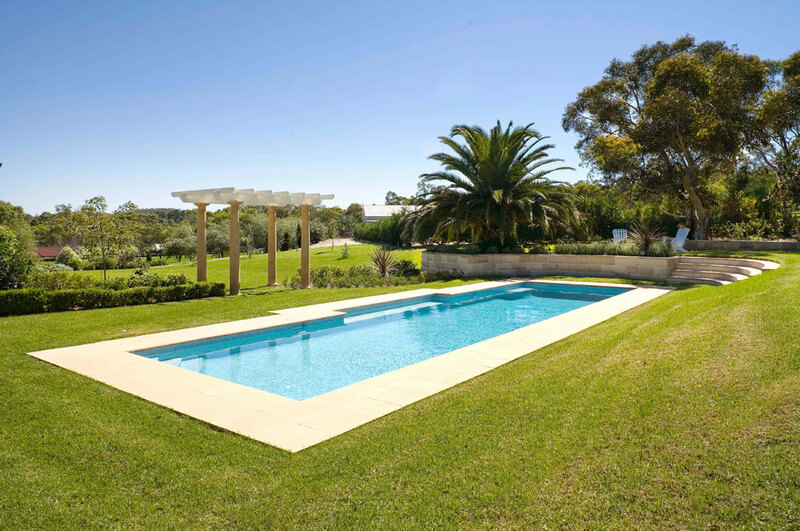 The result, an elegant swimming pool that will age beautifully with the quality built home.